Five Star Structural Concrete® Gunite is a dry process shotcrete applied, high early strength permanent concrete repair material. Containing migrating corrosion inhibitor technology, Five Star Structural Concrete® Gunite produces a repair which is dimensionally stable, develops an integral bond to the existing concrete, and restores structural integrity within hours of placement. 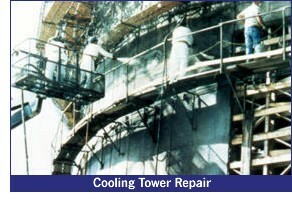 Moisture sensitive coatings can be applied in 8 to 24 hours.